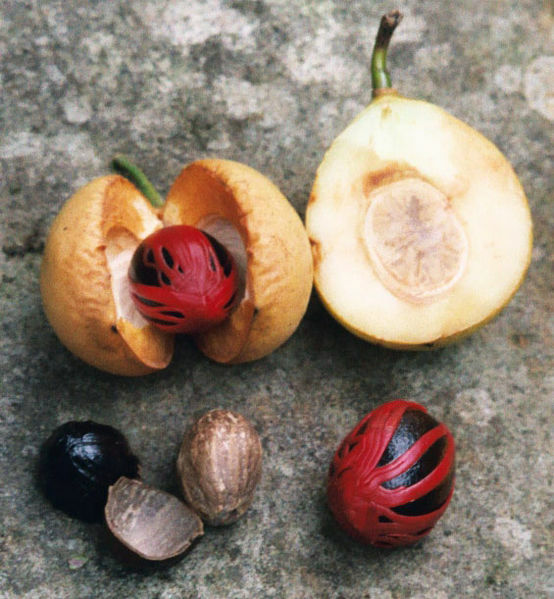 Our mystery seeds from last week were the nutmeg tree, Myrstica fragrans. Nutmeg grows in the Molucca Islands, which are in Indonesia roughly south of the Philippines, west of New Guinea and north of Australia. Nutmeg does not grow in Arizona, so I don't have a photograph. This is an old botanical illustration from Wikimedia. The first thing that catches my eye is the red covering over the seed within the fruit. I did find a photograph of that. This photograph is by Alexander Daniel at Wikimedia. The seed is found within a yellowish fruit. Covering the seed is a red structure that is called an aril. Have you every heard of the spice mace? Mace comes from the red aril. 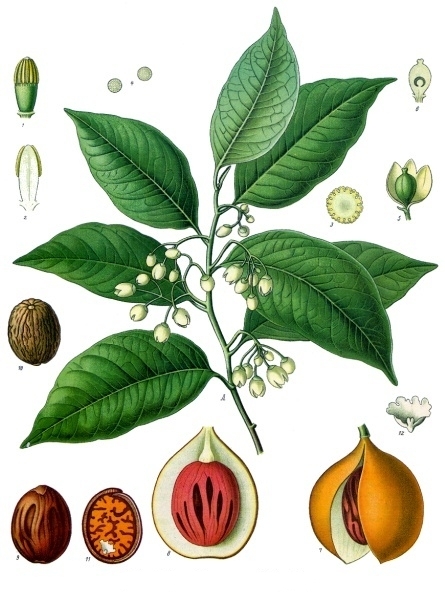 The spice nutmeg comes from the seeds of the tree. We will grind up the seeds we got at the grocery store in a coffee grinder for fresh nutmeg. It goes great in pumpkin smoothies. Did you know mace and nutmeg were from the same plant? Mystery Seed of the Week surprises me sometimes.